Chennai (formerly known as Madras) located on the Coromandel Coast off the Bay of Bengal, is the biggest industrial and commercial area of Southern India and has become known as the Detroit of India for its car industry. 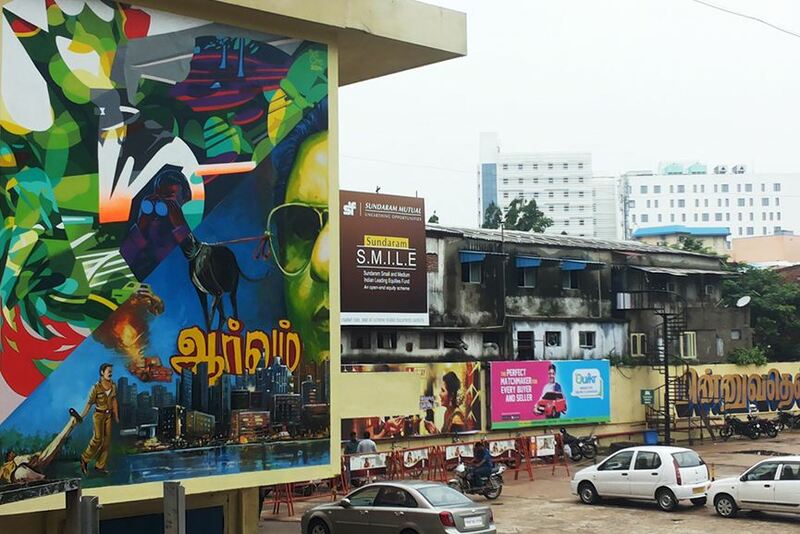 The fifth largest city in India and one of the most heavily populated areas in the world, Chennai has now become home to the Street Art Festival named Conquer the Concrete, which will feature five international artists working alongside Indian street artists and traditional cinema hoarding painters. 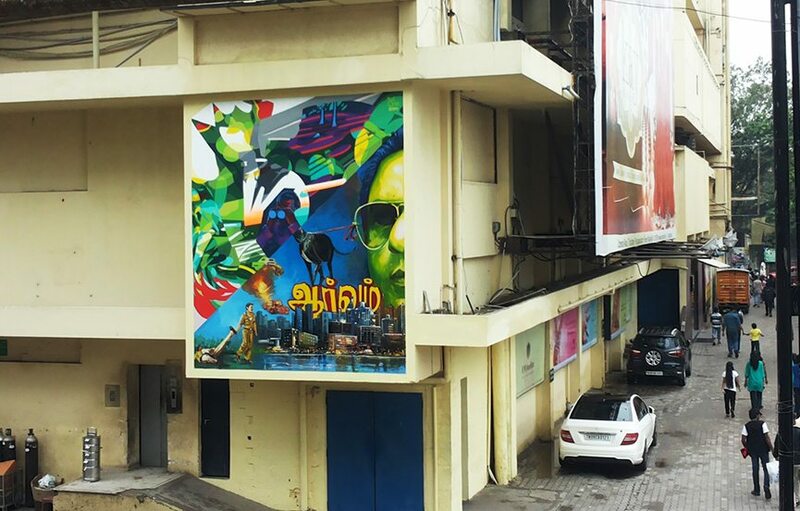 The event going under the tag Street Art Chennai on social media is being curated by Georg Zolchow and is presented by the Goethe-Institut, Max Mueller Bhavan Chennai and Chennai City Connect. 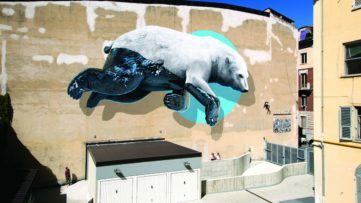 Widewalls are proud to be covering the first urban art event in the region and read on for some exclusive news! Widewalls are very excited to announce the exclusive news that esteemed Berlin based urban artist LOOK The Weird, (you can read more in Widewalls Interview With LOOK and see more of his work in this article about his recent solo exhibition Meanwhile in Ultraland) who will be participating in the Street Art Chennai festival Conquer The Concrete, has agreed to keep us up to date with all the latest news from the festival. So keep your eyes on the site for the exclusive LOOK’s Chronicles where LOOK The Weird will personally give us the low down on the latest works taking place along with exclusive photos from Street Art Chennai Conquer the Concrete Festival. Let’s have a look at who we can expect to see appearing in the exclusive LOOK’s Chronicles from LOOK The Weird; perhaps Madrid based Okuda, known for his bold geometric designs (you can read here about his collaboration with Remed in the Colored Streets of Toronto article) or maybe some of the beautiful styling of Munich based SatOne (whom you can watch in action in this URGE L’anteprima Presenta SatOne video. The other international artists on show will be Miami based Axel Void (you can watch him chatting in this video about Street Alps Graffiti Festival Italy) and Berlin based Base23 (read more in this Peachbeach at The Spree article). A host of Indian based street artists may also get exposure through LOOK’s Chronicles such as Mumbai based Ranjit Dahiya (read here about Mumbai urban arts festival St+art), founder of the Bollywood Art Project (BAP) who transforms the walls of Mumbai with glorious and colourful tributes to Bollywood or Delhi based Anpu Varkey (read here about the St.Art Delhi Street Art Festival) who outgrew her restrictive canvasses and turned to the streets to create her beautiful works that often feature cats in some form. Perhaps LOOK The Weird will give us a sneak peak at the work of Shilo Shiv Suleman whose wonderful illustrative works of art are often about social issues, she is also part of the Fearless collective who use art to speak out against gender violence. Full list of artists at Conquer the Concrete: Anpu Varkey, Amitabh Kumar, Artlab, Axel Void, Base23, J.P. Krishna, LOOK, M.P. Dakshna, Okuda, The Paintbox, Ranjit Dahiya, SatOne, Shilo Shiv Suleman / Fearless Collective. 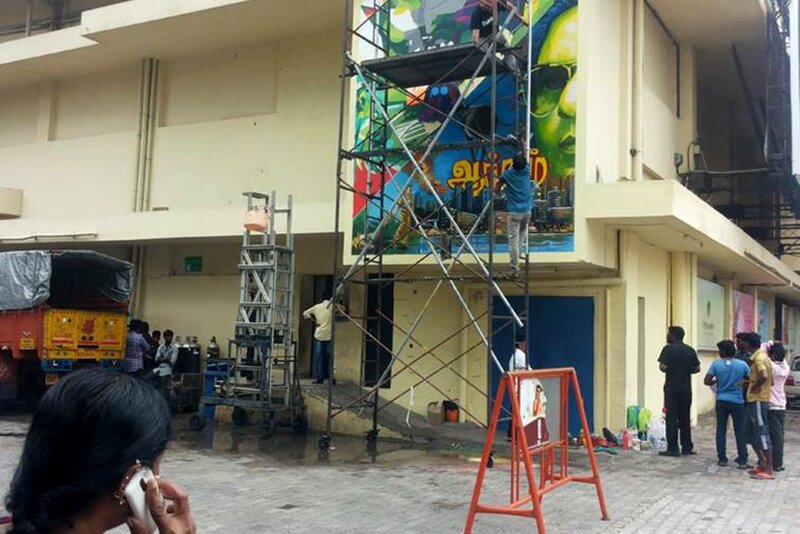 The Street Art Chennai Conquer the Concrete Festival aims to highlight four areas of interest during the event, firstly to bring street art to an area where at the moment it is a rare event and through this they hope to address Chennai as a city through artistic exchange and intercultural dialogue. 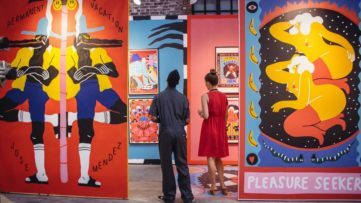 Secondly to bring interaction where the art is being created and to get the broader public, who may not visit galleries, to become involved with public participation. Thirdly, to use street art to create vibrant communities in a city where the infrastructure is struggling to keep pace with the economic growth and for the art to reflect the urban development and bringing visual aesthetics to everyday life. 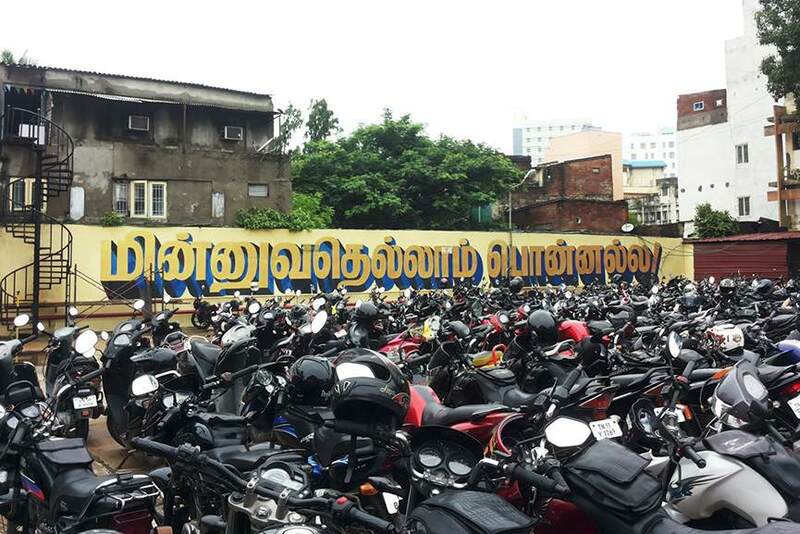 Finally, Street Art Chennai Conquer the Concrete Festival hopes to bring attention to the dying trade of hoarding paintings. 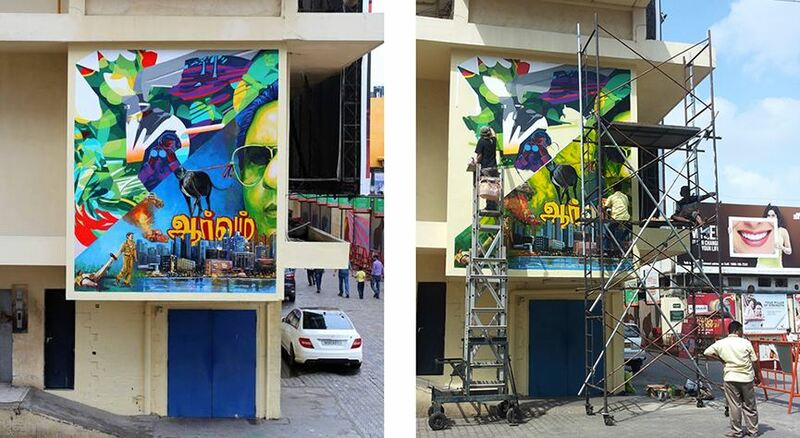 Once as with many Indian cities, Chennai had film hoarding painters creating massive works of art around the cities creating a colourful atmosphere; the festival will pay homage to these artists who will also participate in the festival as a new wave of street artists hit the streets of the Chennai. 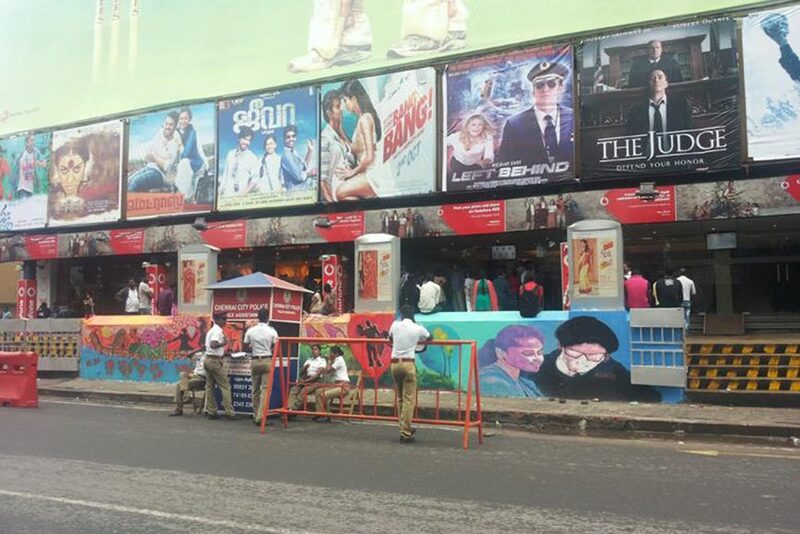 The Street Art Chennai Conquer the Concrete Street Art Festival will take place between 20th January 2015 and 7th February 2015, Don’t forget to check in regularly on Widewalls for the exclusive updates from LOOK The Weird in his LOOK’s Chronicles during the festival. 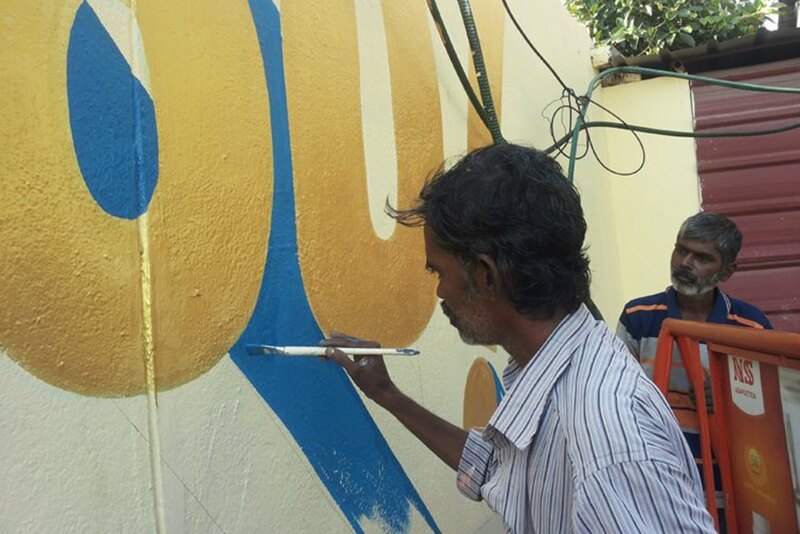 Keep up to date with all the exclusive news from Chennai by signing up to My Widewalls today. 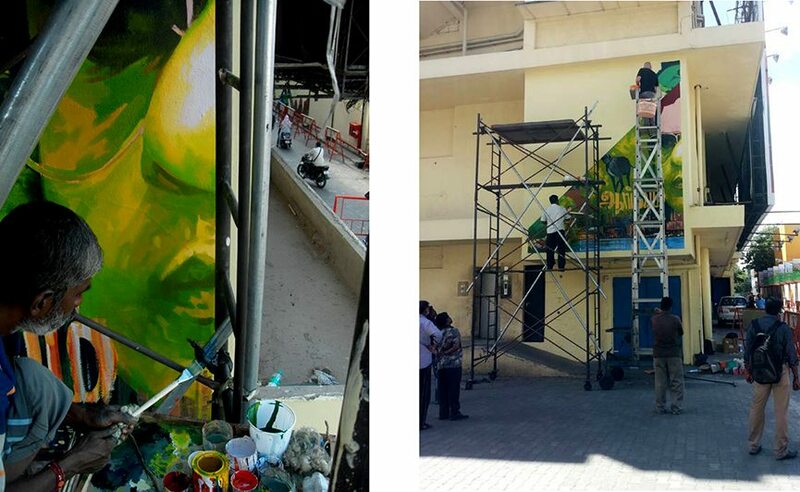 Images courtesy of Street Art Chennai / Conquer The Concrete Festival.